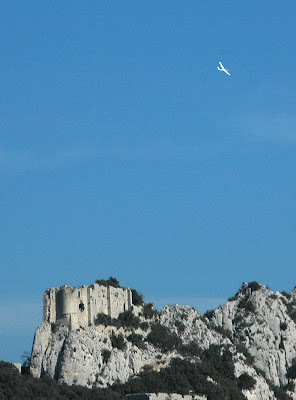 While we were picnicking on Pic Saint Loup we saw a squadron of gliders take flight. 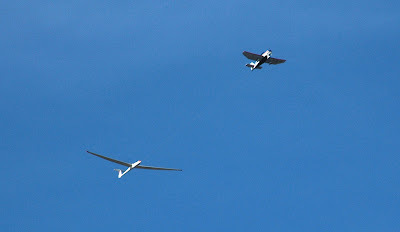 Ok, it was one gas engine plane hauling these gliders up and releasing them. There was four of them in flight by the time we left. Think about it. Silently soaring above ancient castles. It doesn't get more obscure than that. 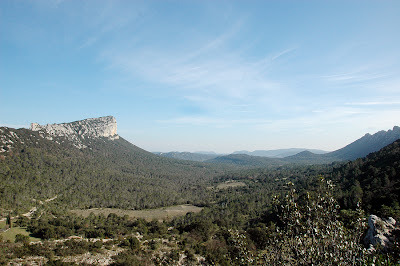 We went on a picnic to Pic Saint Loup which is a mountain not to far from us. The view was stunning. If you look at the top photo you'll see an ancient castle on the very right (hard to see) and another on the very left. So you have two old castles with this valley between them. 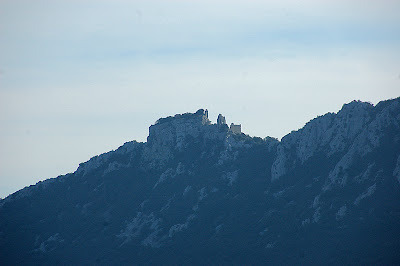 And this is the castle on the left. Were they friendly with each other? Did they have some Carl Lewis type guy who would run messages back and forth? Maybe they were enemies. That would be awkward. Maybe there was some romance that suffered the distance of that valley. 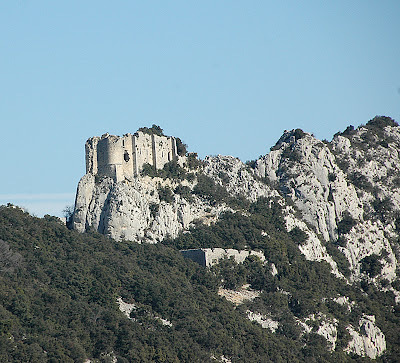 You could write a hundred different stories about these two castles. I would love to know the history. Anyway it was a beautiful day and a great picnic.